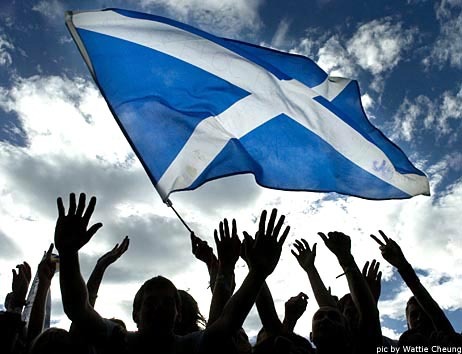 The Scottish Independence vote on September 18th will decide whether the country secedes from the United Kingdom. Its impact on the UK will be significant, as are the ramifications across Europe for separatist regions like Catalonia in Spain, Flanders in Belgium, and Kurdistan in Southern Turkey / Northern Iraq. Separatism – Nationalism – is back in vogue. Is Scotland a legitimate state? It certainly has a long established cultural tradition that is unique; both within the former English Empire and without, Scottish identity is recognised as separate and distinct from that of the English, or the British (if there is such an identity). So from an identity, or social perspective, it seems valid. However, scratch beneath the surface and you begin to see cracks appearing. The wealthy and the old break in favour of the Union, while the young and the less well off tend to break for independence. Men are mostly for independence, while women break against. It is a classic divide in these respects, one of hope and ambition versus fear and conservatism, of audacity versus resignation. For all of the pronouncements on who Scottish people are, on who the nation is, perhaps it is the vote itself that will offer the most profound judgement on Scottish identity. Much of the debate has centred on economics. Will people be better off in an independent Scotland? The true answer is – sometimes. Immediately, it could be difficult; in the medium term it could be very good; and much depends on how Europe goes in the next ten to fifteen years, and – wider still – how Russia prosecutes its imperial resurrection. Scotland as a country is very much like Ireland, but with oil. Ireland’s lot has been hugely improved by closer European integration; it remains arguable whether its lot was improved – economically – by separation from Britain. There is no doubt that Scotland’s claim to legitimacy is strong. A vote for independence, facilitated by the British crown, would be recognised internationally almost immediately. Internally, the pre-existing civil service structures and institutions (its courts are already apart from conventional common law) are well established and strong. Its people would recognise independence as easily as a change in government, or – perhaps – a change in currency. Scotland can make a mark on the world stage as an independent country. It will be an ally sought by many as a nation with London’s ear, and – EU accession presumed – an English language voice in Brussels. It will be, as Ireland is, largely untainted by complex entanglements in legacy British colonies, and hubristic foreign policy. Scotland will know her place in World Affairs, saved as she is from the weight of nostalgia, and an empire lost. Scotland’s is a future empire, should she be audacious enough to build it. ‹ What is a Nation?